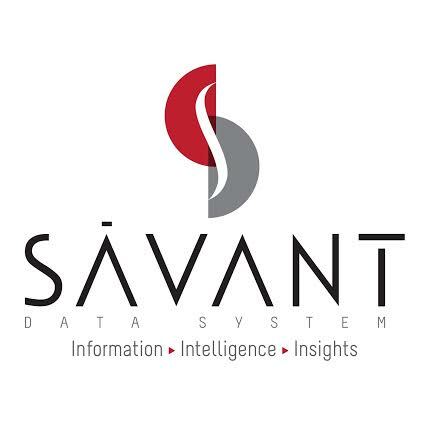 Dubai, United Arab Emirates: ME NewsWire: Sàvant Data System (SDS), a leading retail solutions and services company providing business intelligence (BI) to the retail sector, banks, museums, airports and casinos, and serving more than 400 retailers in over 38 countries, is unveiling its subscription-based platform for business intelligence at the 36th GITEX Technology Week, being held between October 16 and October 20 at Dubai World Trade Centre. Founded in the year 2000, SDS helps organizations to develop new insights into making their business more efficient and successful. The company is a pioneer in focusing entirely on optimizing the shopper experience. Its analytics software and retail expertise have enabled several companies in the retail vertical to better understand the shopper journey so as to increase same-store sales, improve customer experience, and eliminate unnecessary costs. In today’s challenging times, businesses have to determine which resource requirements to focus on in order to successfully migrate to the cloud, and operate in it. The shifting of the IT infrastructure of an enterprise has many key elements which must be taken into consideration to evaluate the impact of technology on the business. Companies have to determine whether they are able to support the new implementation, and how it will affect their functionality. They also need to figure out the downtime required, and whether they can absorb the additional training costs. Small and mid-size companies, particularly, need to ask themselves whether the new tech purchase will align with their working budget. This is where the platform makes it easy for businesses – they enable them to pay as they go, allowing them to function on an operational level without too many overhead costs. In the process, companies also get access to the resources and expertise of platform hosting experts, depending on which package they choose. At a time when businesses of all shapes and sizes are absorbing this message, and upgrading their systems and investing in technology, SDS’s platform will be immensely useful as it will enable enterprises to extend the value that business intelligence data currently brings to their operations. The superior SDS platform is set to reinforce accuracy and confidence in decision-making, thus keeping companies one step ahead of the competition. The main benefits of adopting the BI platform of SDS are minimized hardware and infrastructure cost, and reduced implementation and administrative cost. It offers faster time to value, and a simpler and more predictable set-up, thus enabling businesses to derive benefit right away. During the course of the event, SDS will give a live demonstration of the product, highlighting how it can transform the way companies conduct their business. For more details, please visit SDS this GITEX at Hall no. 7, B7-30. Sávant Data System (SDS) is a leading provider of progressive technological people counting solutions, in-store analytics and business intelligence services to retail businesses ranging from malls and banks to museums and casinos. It offers an unparalleled understanding of customer buying and behavior patterns, gleaned through tracking and analysis of supply chain data. SDS is fully customer-focused and works with organizations to better understand the shopper journey in order to increase sales, improve customer experience, and eliminate unnecessary costs and bottlenecks. The company’s prominent clients include Al Shaya, Chalhoub Group, Al Tayer Group, Landmark Group, Jashanmal Group, Wa Mall, MadinatJumeirah, Oasis Centre Mall, Reef Mall, WahatHili Mall, Sahara Centre Mall, Avenue Mall in Kuwait, and many more.